Valor is under arrest for the attempted murder of the crown prince. Her parents are outcasts from the royal court, her sister is banished for theft of a national treasure, and now Valor has been sentenced to life imprisonment at Demidova, a prison built from stone and ice. But that's exactly where she wants to be. For her sister was sent there too, and Valor embarks on an epic plan to break her out from the inside. No one has escaped from Demidova in over three hundred years, and if Valor is to succeed she will need all of her strength, courage and love. If the plan fails, she faces a chilling fate worse than any prison ... An unforgettable story of sisterhood, valour and rebellion, Prisoner of Ice and Snow will fire you up and melt your heart all at once. Perfect for fans of Katherine Rundell, Piers Torday and Cathryn Constable. 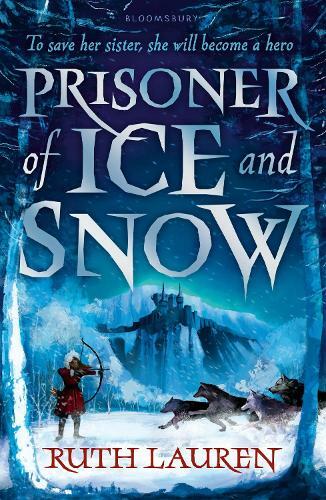 Lauren creates a vivid and action-packed world in PRISONER OF ICE AND SNOW and showcases the power of a sisterly bond. An amazing adventure with high stakes and lovable characters.